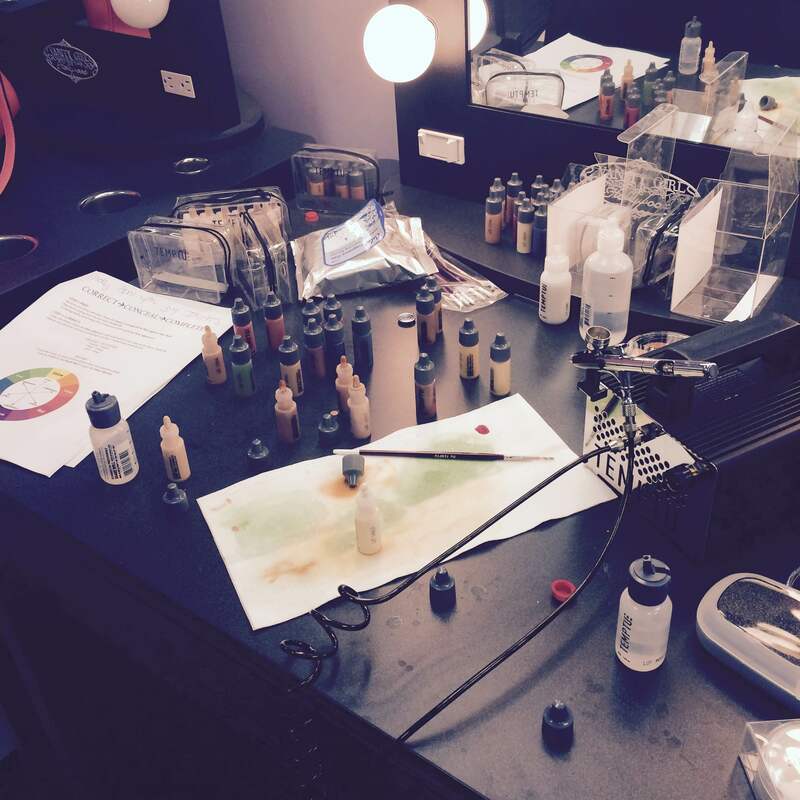 TEMPTU Master Make-up Artistry Class – Tattoo Coverage | Beauty with Julie at Bar Beauty & Co.
We are so excited to share our awesome experience at the TEMPTU Master Make-up Artistry Class specializing in Tattoo Coverage! Just wait until you see these before and after pictures! 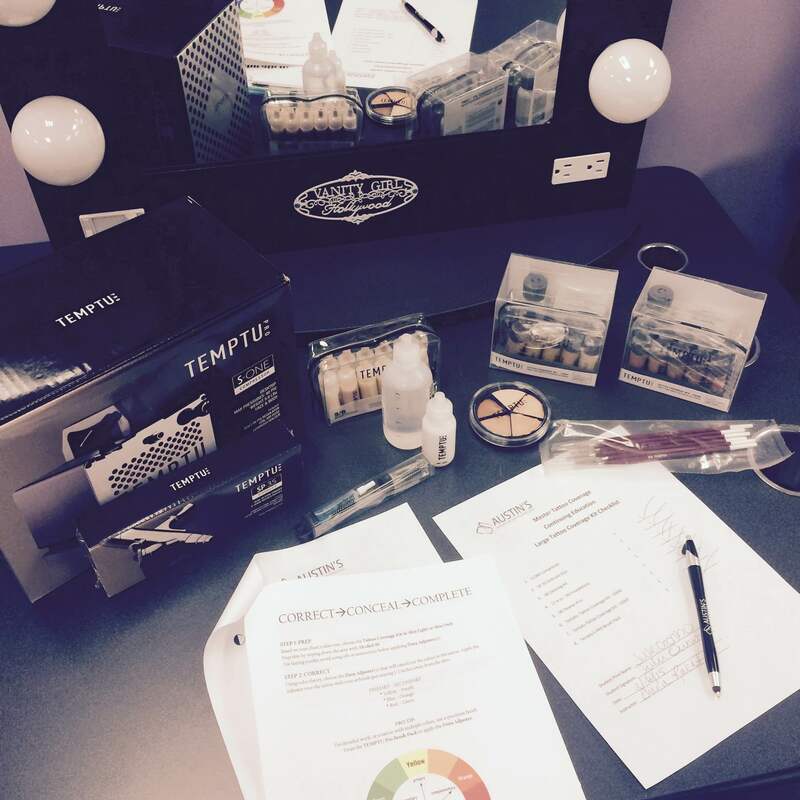 We spent the day learning about the TEMPTU DURA Airbrush system which was developed for Pros working in bridal, editorial and runway artistry. At our class, we focused on the Tattoo Coverage Kit which combines TEMPTU’s 3 signature steps for flawless body coverage: Correct, Conceal and Complete! Dura is an alcohol-based formula and an instant industry favorite for body art, prosthetics, tattoo coloring, and special effects. It dries on impact, is completely waterproof and can last for days with proper care. We are also extremely excited to announce that Beauty with Julie will now specialize in tattoo coverage for our brides! We require a consultation beforehand to become familiar with the tattoo we will be covering. Extra time will be allotted for on the day of your special day, depending on the size and coloring of the tattoo. For further details and pricing please contact Julie! A huge thank you to our wonderful instructor Diana Racht, Senior Make-up Artist of Austin’s School of Spa Technology, and our patient tattoo model!